Working with a beer distributor is all about cultivating a relationship. It requires frequent communication, shared goals and trust. 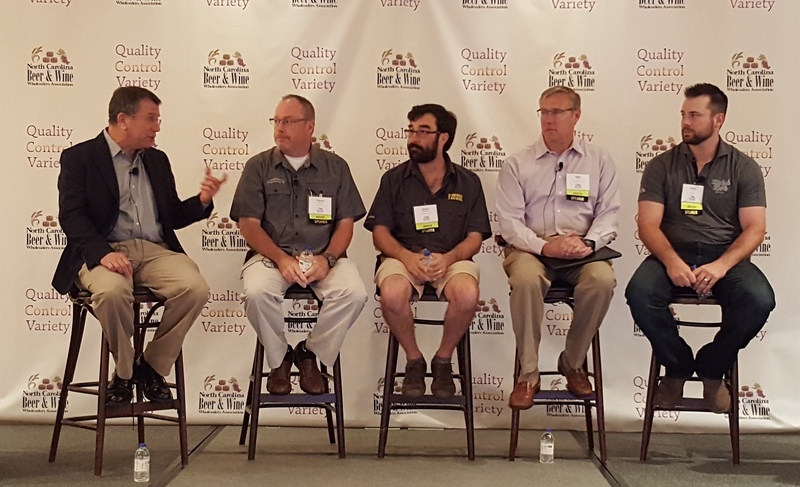 That ‘s the assessment of four leading North Carolina brewery owners and executives who spoke at the annual meeting of the N.C. Beer & Wine Wholesalers Association in Pinehurst. Billy Pyatt, owner and president of Catawba Brewing in the western part of the state, has seen his business double within the last year after expanding into a statewide distribution network. Jamie Bartholomaus, president of Foothills Brewing in Winston-Salem, has seen his sales increase by more than 400 percent since moving into a distribution network four years ago. Instead of having his employees transport beer to various locations, Bartholomaus transitioned some of those workers into sales and marketing positions while relying on his distributor partners to handle logistics. Wicked Weed Brewing of Asheville has quickly developed a strong regional reputation for its unique portfolio of hoppy IPAs, Belgian ales and fruit-enhanced sours. After relying on a self-distribution model for several years, Wicked Weed transitioned into a distribution network in early 2016. Tommy Gannon is the East Coast sales director for Sierra Nevada Brewing, the second largest craft brewer in the U.S. Gannon is a longtime veteran of the beer business and has his own rule of thumb for picking distribution partners.